If you’re hosting Thanksgiving this year, chances are you’ve already got your menu mostly set. (If you don’t, please hurry. The planner in me is twitching just thinking about it.) I figure at this point, another side dish or dessert is probably not of much use to you. Instead, I give you this irresistible breakfast treat to enjoy with family over the long weekend. 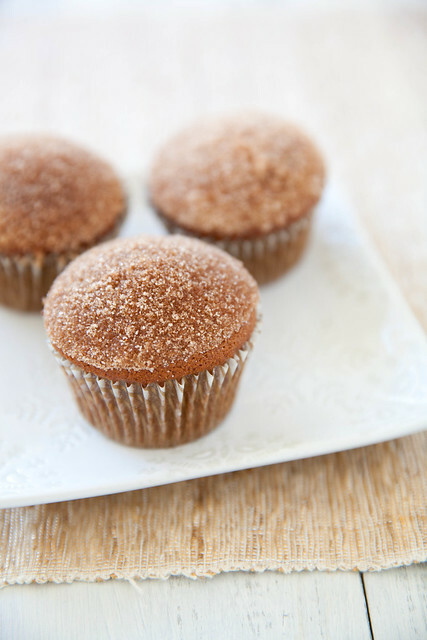 Tender, spiced gingerbread with a sparkly doughnut-esque cinnamon-sugar topping. 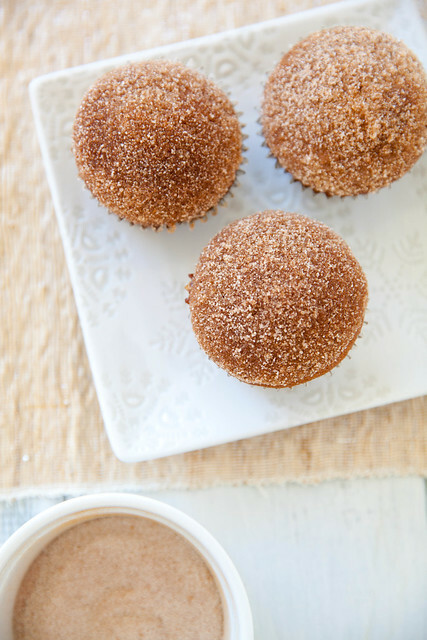 Paired with a cup of coffee or hot cocoa, these are the perfect seasonal treat to share on a lazy morning. The muffins can be mixed up and baked in under an hour, but if you want to get the work out of the way up front and have them ready to go, you can bake them today and freeze until you are ready to serve. Then thaw however you prefer in the microwave or oven and serve warm. Preheat the oven to 350˚ F. Line muffin pans with paper liners. In a medium bowl, combine the flour, baking soda, salt and spices. Whisk to blend. In a mixing bowl, combine the butter and sugar. Beat on medium-high speed until light and fluffy, about 2 minutes. Blend in the eggs one at a time. Mix in the molasses.